Have you heard about the “robots”, “robo-advisors”, or just “robos” that have been flooding the financial industry? This flood of technology, or “FinTech”, has been great for forcing the big banks to lower their pricing, thereby lowering costs for clients on Main Street. It’s even better when you get technology + humans to keep costs low, and provide great advice. 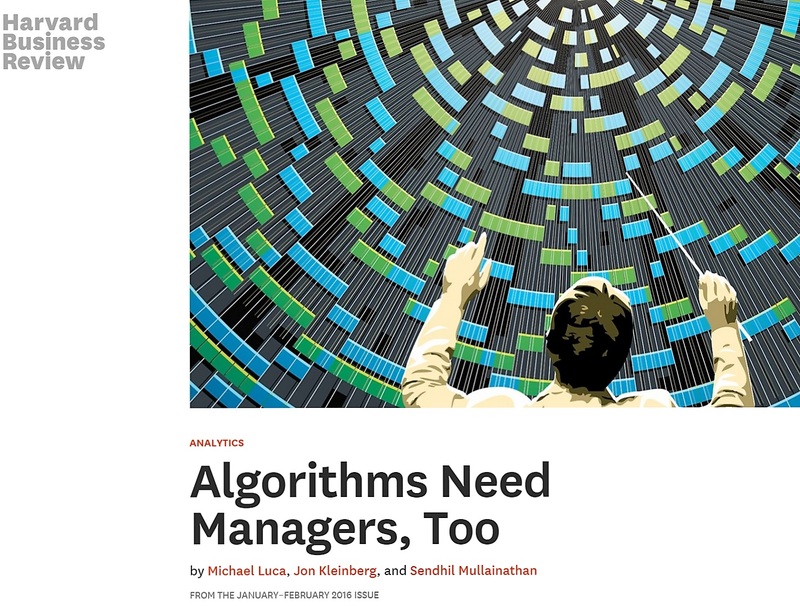 Check out the article from Harvard Business Review below, “Algorithms Need Managers, Too” that shows how this combo is better than either alone. It’s not financial-specific, but applies well. (If you are a techie, you will appreciate this read.) Maybe your industry has experienced something similar. Let us know your thoughts!